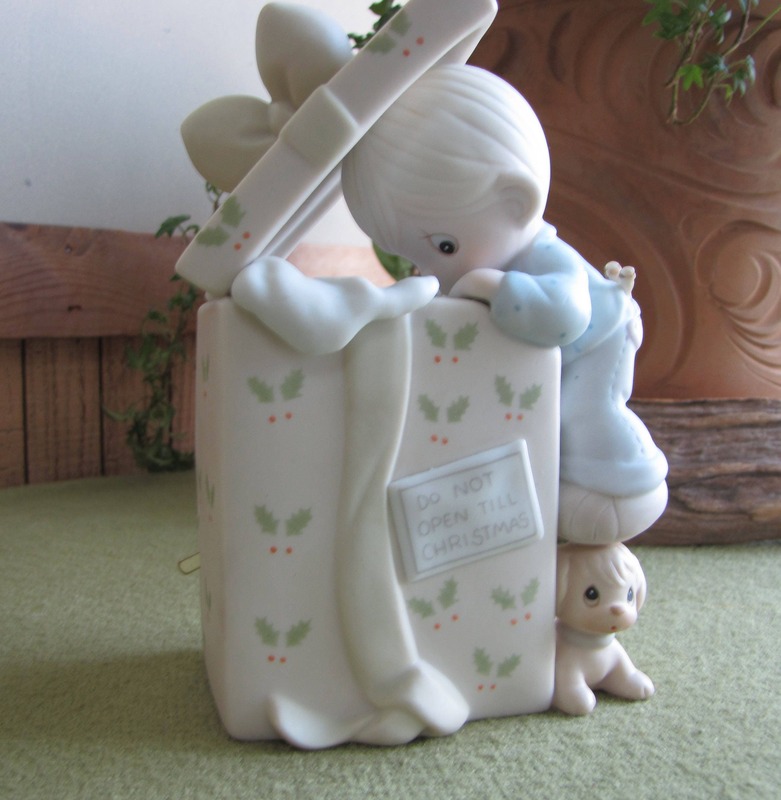 This is a little boy peering into a boxed Christmas gift standing on the little dog to boost himself up. 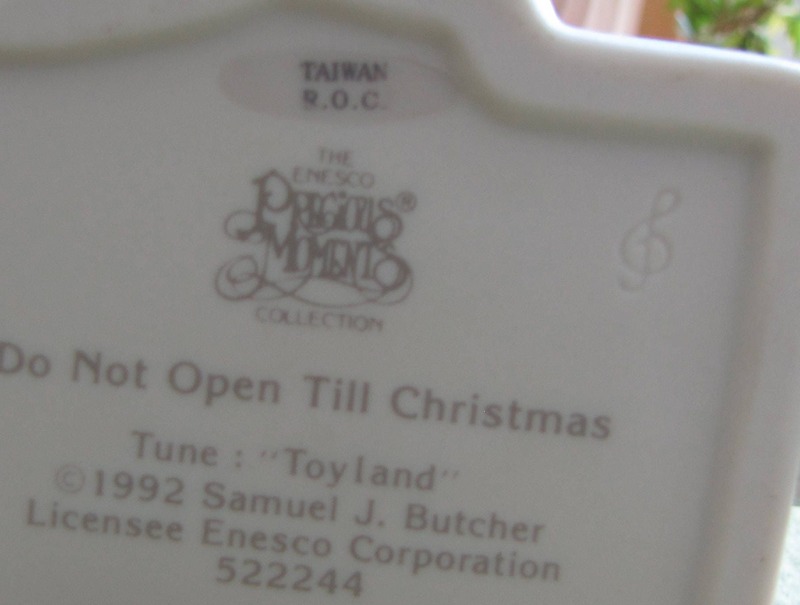 It is a music box and plays the tune Toyland. 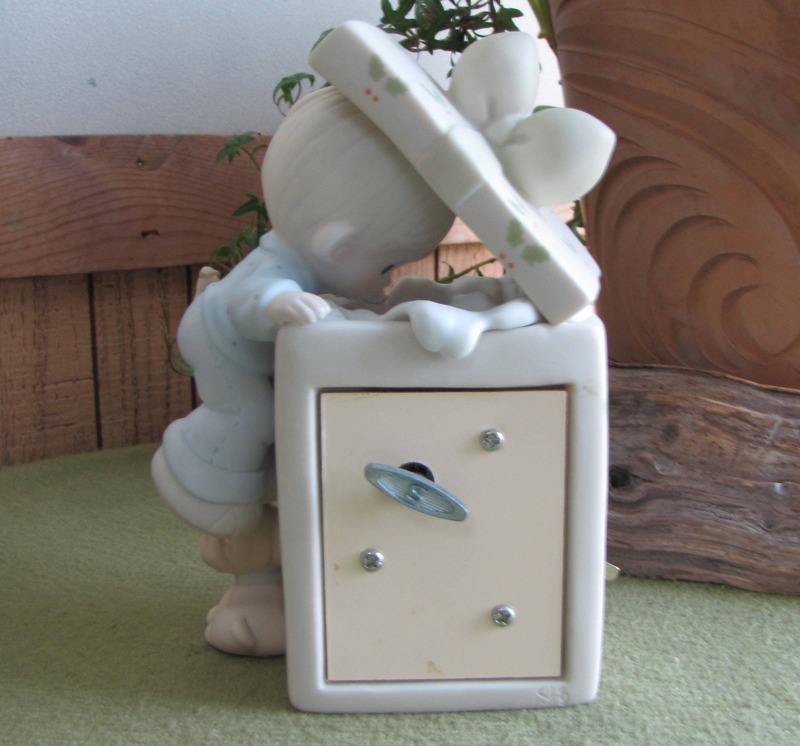 The music box is in good working order and in very good vintage condition. It is created in the original ceramic bisque with no chips or cracks. Retired. 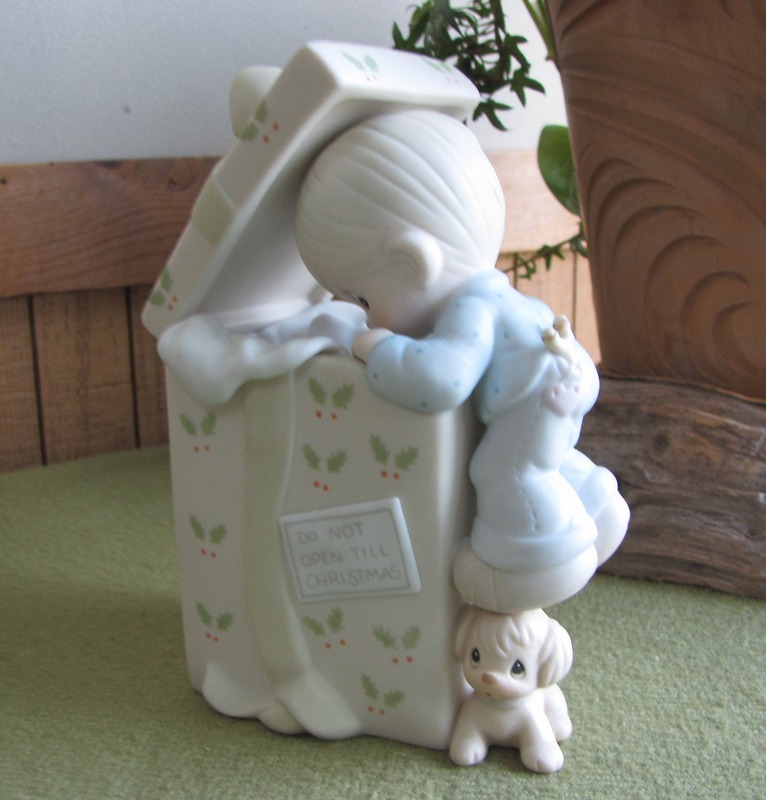 The music box measures 6.5 inches tall and is 4 x 3 inches square. If you are interested in any other Precious Moments items, message me for a discount. Sam Butcher created the teardrop-eyed children he called Precious Moments in the 1970s. Sam and Bill Biel founded the company Jonathan and David to produce the Precious Moments line of cards and posters created by Sam. 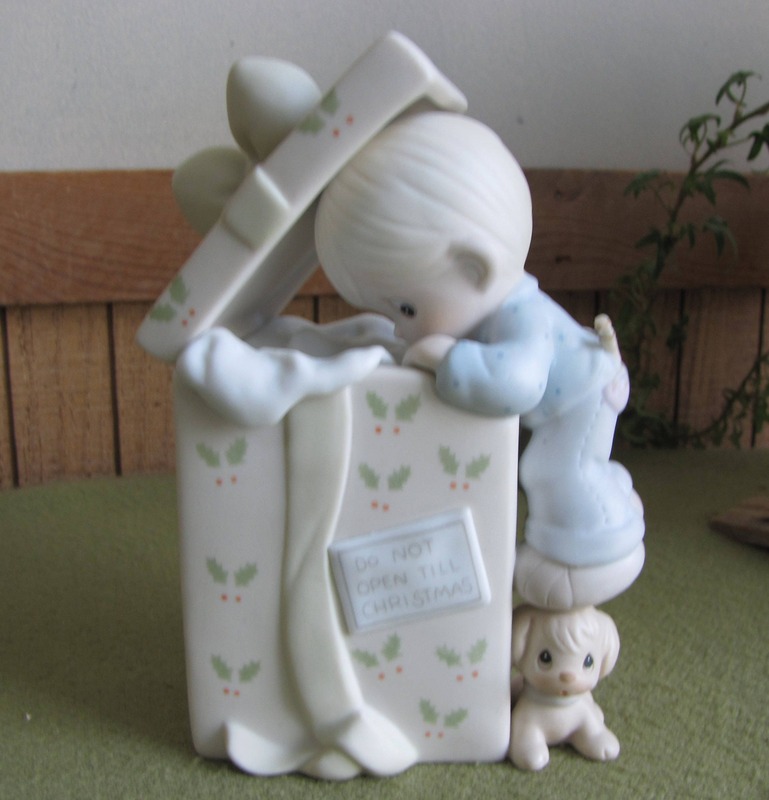 Enesco developed 21 Original figurines in 1978.